AUSTIN, Texas - Severe maternal morbidity varies dramatically in Texas by both race/ethnicity and geographic region, according to a new report and searchable maps from The University of Texas Health Science Center at Tyler. Using publicly available hospital discharge data for Texas from 2011 through 2016, researchers calculated severe maternal morbidity rates at the county and ZIP code levels, revealing substantial disparities across and within regions, by race/ethnicity, and between urban and rural areas. significant short- or long-term consequences to a woman’s health. These conditions include high blood pressure, cardiac events, blood clotting disorders, and several others. They often result in extended hospitalization, the need for long-term rehabilitation, strains on the mother and her family, and high healthcare costs. The report found that overall rates between 2011 and 2016 in Texas remained consistent, fluctuating between 17.0 per 1,000 deliveries at the low end and 19.9 per 1,000 deliveries at the high end. Within the five years examined, there were consistent and substantial disparities across race/ethnicity and geography. The rate of severe maternal morbidity for non-Hispanic black women was nearly twice that of non-Hispanic white women in all years. Rates were significantly higher in rural counties than in urban counties overall, and particularly among Hispanic and non-Hispanic white women. Both high and low rates also clustered in specific ZIP Codes. Between 2014-2016, there were 49 ZIP Codes in the state with consistently high severe maternal morbidity rates (at or above the 75th percentile). They were primarily located in a few metropolitan areas: Dallas-Fort Worth-Arlington, Houston-The Woodlands-Sugar Land, and San Antonio-New Braunfels. The 36 ZIP Codes that had consistently low severe maternal morbidity rate (at or below 25th percentile) were predominantly located in the Austin-Round Rock-San Marcos, El Paso, and Amarillo metropolitan areas. Although the data and maps show the wide variation in the state, they do not identify why the variation exists. Researchers with UT System will continue to work towards understanding why this variation exists and what can be done to improve maternal health overall. 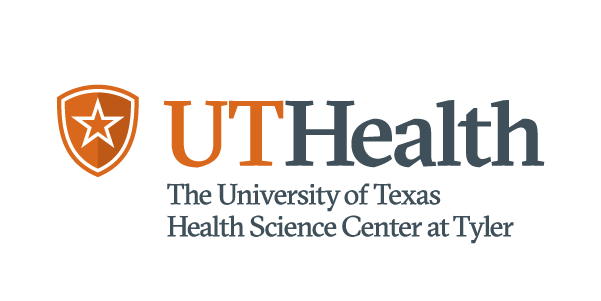 For more than 70 years, what is today UT Health Science Center has provided excellent patient care and advanced treatment, specializing in cancer, pulmonary and heart disease, primary care and the specialties that support it, and behavioral health. As the only university medical center in Northeast Texas, UT Health leads the way in public health, in graduate medical education – with residencies in family medicine, rural family medicine, occupational medicine, psychiatry, and occupational medicine – and in graduate education, with degrees in biotechnology and public health. Additionally, UT Health's Center for Biomedical Research consistently ranks in the top percentile for grants awarded by the National Institutes of Health, the Centers for Disease Control, and other research funding organizations. For more information, visit www.uthct.edu/cancer.